We have a new warehouse with better parking! Come visit us for the best stone flooring and tools at unbeatable prices. We are a wholesale warehouse so we keep costs down to help you afford your dream space. Come see our new warehouse today and let us inspire your next flooring project! Our show room is just what you need and like us, uncomplicated. We love to offer stone at the best prices in town. Simple. Come take a look. Fortunately, you won't have to shop around to find all the supplies you need in order to complete your project. Whether you are a contractor or a do-it-yourselfer, we have what you need to get the job done. How do you cut Stone? With Diamonds! We have a blade to cut every material and a price to fit every budget. Diamond blades and saws allow you to cut your beautiful pieces and perfect your space. The saws and blades you find at TERICO are the best out there and at unbeatable prices. We carry everything you need to keep your floors nice and warm. 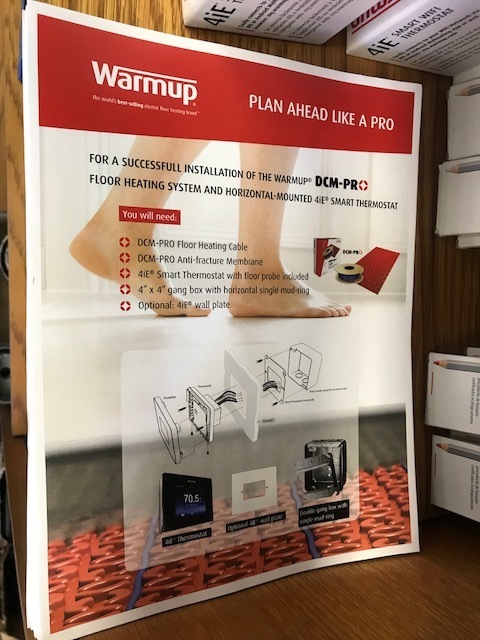 We are significantly under retail when it comes to under floor warming systems. You will save enormously when shopping with us. Come check out our stock AND PRICES for underfloor heating. You'll need a strong adhesive to hold your flooring in place and our thinset gets the job done - TERICO's formula is the best out there. We have been perfecting it for over 50 years so it better be! Come try it today. Spacers help ensure you have uniformity to your tile project. 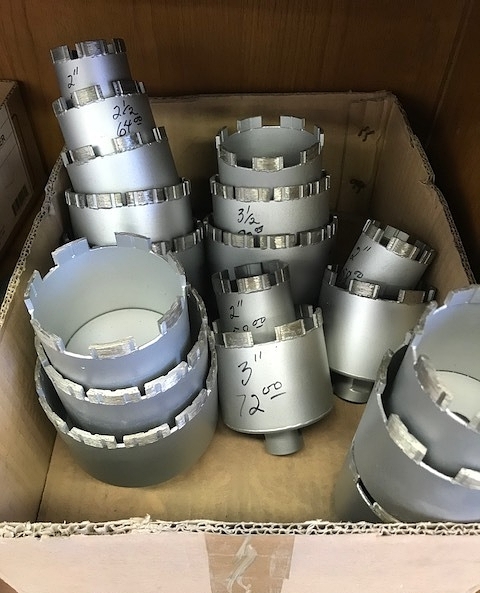 We carry all the sizes you need. Come see our large selection today. Trowels, gloves, knee pads, and more! We’ve got it all. There are many things contractors may need to get the job done and we have you covered. Gloves, mixers, trowels, extension cords, diamond blades, sponges, rags, drill bits, grout floats, sinks, shower niches, polishing disks/pads, utility knives, levels, metal trim, face/dust mask and measuring tapes and more! Get the best prices with supplies with us.